The Australian Alpine Club was founded in 1950 by Charles Anton and was then known as the Ski Tourers' Association. Charles Anton had a vision of forming a chain of ski lodges across the Australian Alps. The first four AAC lodges were built along the Main Range of the Snowy Mountain prior to the establishment of the major ski resorts. The first lodge built was the Lake Albina Ski Lodge, opening for the winter of 1951. Next was the Kunama Huette in the valley under Mt Clark. The AAC built not only ski lodges but ski tows. The Northcote Rope Tow was constructed close to Kunama. In 1956 work began restoring the derelict Pounds Creek Hut, upstream from Guthega and it opened as Illawong Lodge. 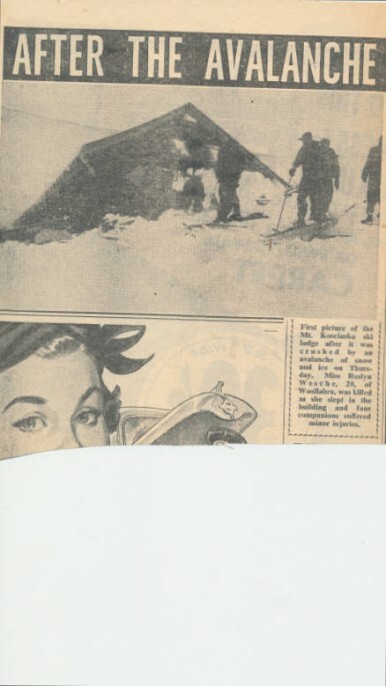 During the winter of 1956, Kunama was destroyed by an avalanche, with the loss of one life (Roslyn Wesche). Three weeks later the Northcote Tow Hut burned down. The park authorities would not allow re-building on the Main Range and as planning for Thredbo Village was just starting, the insurance money was used to start Roslyn Lodge using a barrack hut from the Guthega Dam construction site. A newer Roslyn Lodge was built in 1976. 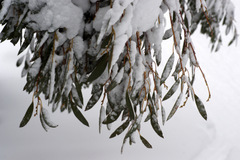 In 1959 Kareela lodge was built at the top of the Thredbo Chairlift at a site where a village was planned. Kareela was sold to the Thredbo company (of which Charles Anton was a director) at the end of 1962 and the funds used to start Perisher Huette which opened in 1963. In 1962 the name was changed to the Australian Alpine Club. In Victoria, the Falls Creek Huette was established in 1963. By 1969 this lodge had proved to be too small and a new lodge was constructed and opened in 1971, the old building being sold to a girls' school. Patscherkofel at Mt Buller was completed in 1966. The opening of Patscherkofel was Charles Anton's last official duty for the AAC. Charles died suddenly in September 1966 and his ashes were interred in a giant boulder near the top of the Thredbo chairlift. 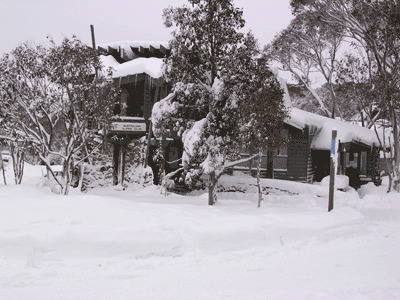 With the construction of the Mt Hotham Chairlift in 1969 the AAC decided to build a lodge there, which was called Anton Huette, opening in 1972. The newest project to be created with the support of existing AAC members was at Dinner Plain. Buying freehold land in the newly created village, the Dinner Plain Huette opened in June 1987. The Australian Alpine Club is looking for new partners with similar aims at Thredbo and other Australian alpine resorts. The Trophy is in memory of the Roslyn Wesche Disaster and is for AAC clubs that compete annually against each other.